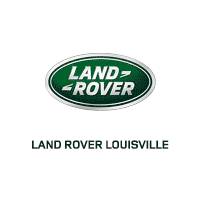 Land Rover Louisville is here for all of your service and repair needs. Our Land Rover Service Department only uses the latest specialized equipment and highly-trained Land Rover technicians to look at your Land Rover. From routine maintenance to major repairs, we always maintain the highest standards for delivering the best service possible. Our certified technicians at Land Rover Louisville have the skills and expertise to diagnose and repair your Land Rover. Our technicians know your Land Rover inside and out. Drive with confidence knowing the service on your Land Rover was completed by the best in the business. Shop tires at Land Rover Louisville. Either online or at the dealership, we offer a wide selection of Land Rover OEM and replacement tires. Routine tire maintenance is important to help extend the life of your tires and for staying safe on the road. Our Land Rover Certified Technicians will repair, rotate or replace your tires using the latest equipment. Needing a new battery? Trust the Land Rover Technicians at Land Rover Louisville to inspect and service your battery. They will inspect corrosion around battery terminals and check battery voltage. If the battery needs to be replaced, you can choose from our selection of Genuine Land Rover batteries engineered to perform specifically for your Land Rover. Keep your engine running at its best with an oil change by visiting our Service Department. We’ll give you all the information you need about getting your oil changed and will supply you with the most suitable oil for your engine. If you’re experiencing brake problems, you can ensure the technicians at Land Rover Louisville will be there for you. We only provide genuine Land Rover brake parts that are designed by Land Rover engineers for your Land Rover.